There are plenty of active companies that develop online slots and other casino games. Some have been around longer, other have been established in the past few years. Very few companies can boast with decades of experience, and JPM Interactive is exactly one of those companies. The company was founded in 1972, which is pretty impressive, considering that most other operators, even the largest and most popular ones like NetEnt and Microgaming have been launched in the 1990s or even later. JPM Interactive has a lot of original and exciting products that are enjoyed by casino fans throughout the world, especially in the several countries that are JPM’s main markets. As we mentioned, JPM Interactive operates internationally, even though Europe is their key focus. They are particularly active in few European markets. Considering that the company has been active over 45 years, they have profound knowledge of both industry standards and game making, but also of the legal framework, player preferences and everything else. It appears that Czechia (Czech Republic) is one of their primary markets and JPM Interactive have a pretty strong presence in this central European country, but they have also made a name for themselves in the UK, Spain and elsewhere in Europe. 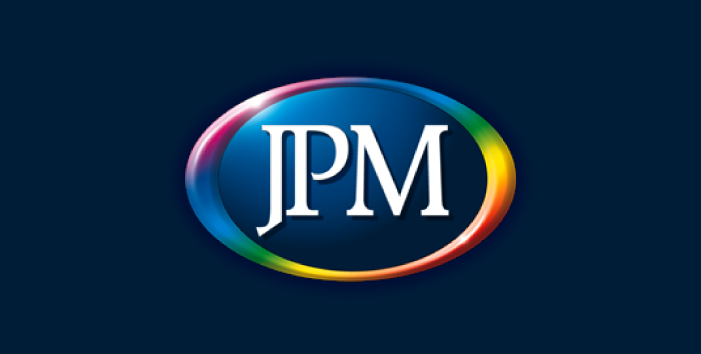 JPM Interactive is part of JPM International Group, a company that employs some of the top and most talented game designers and developers globally. In addition to JPM Interactive, JPM also owns another recognised brand – Crystal. Crystal is a brand that was developed specially for the Spanish market and few other European countries. JPM Interactive is the division of JPM International that develops online games and other content for online casino operators, private networks, but also platforms that broadcast via digital television. In addition to Czech Republic, UK and Spain JPM products are also available in Hungary, Romania, Serbia, Denmark and the Netherlands. We’ll know have a look at some of their products that are available in the UK. JPM has B4, B3 and C category slot and poker machines. Sheerluck Holmes is a very exciting game with multiple features and unique design. There are barcodes, and the cash meter is activated after a reel win. If you wager at least 50p, the Take or Leave feature becomes active. If you wager one quid the Mega Take or Leave feature becomes active. Compared to standard casino products available on the market, Sheerluck Holmes is truly intriguing and entertaining. There is a board game feature and an additional Spins Super board game. There’s a ‘Play it again’ special bonus feature, you can secure your bets. The Great Escape is a three-reel slot with plenty of features, there are reel blasts, nudges and more. Barcodes are also available if you’re willing to increase your wager you can try and decipher the offered barcodes. There is a hi-lo feature and a progressive pot which can generate some pretty hefty prizes. There is a Great Escape feature that is triggered if you get a minimum of three instances of the passport symbols on the reels. When that happens, you get an offer which you can choose whether to accept it or not. This is one of JPM’s top products on the UK market. It is available both in Linear but also in Frontier cabinets. The game has six reels, hence the name Magic 6. The Windicator feature is an innovative feature available exclusively in this game. The main game includes five feature and there are five additional features on the top game. A special symbol that may appear in the window activates all 27 ways to win the top game. The game also includes a Mega feature and a Cash pot feature. The maximum amount that you can win if you get a window full of red 7 symbols is £210. The Windicator feature is available only on JPM progressive games. If you hit this feature the progressive will be reset. If you get the Magic Bonus position active, a scatter will appear in the alpha game, so you will be able to get one of the possible seven bonus prizes. This is a strategy game, so it is not like other slots and poker machines. This game can be played on a number of different skill levels. Hi-lo is the basic play principle in this game, but there are three levels or ladders, there are cash prizes, features, but also nudges. You can place wagers strategically and try to climb up the game’s ladders. In addition to the main game, there’s also a feature entry where the specific gameplay and the available features depend on your stake. Unlike all games listed above, this one falls into the B4 Category on the UK market. This is a complete gaming system, not a single game and it features amazing graphics and high-quality audio effects. The system includes various variants of three-reel, four-reel and five-reel games. All variants include a card gamble feature, but also a multiplier and a max power feature which can pave the way for some pretty hefty wins within this great game. The Demon Reels is part of the Max Power system. This is a game with five reels and the main theme includes demons. Wilds can appear on all reels and there are bonus games as well as various mystery wins. The Cash Xplosion is a game with three reels where there are 27 ways to win, and it is based on the Criss-Cross principle. The game includes free game bonuses and a lot more. Golden Knight is another game with three reels where there are five ways to win. The game includes mystery wins and free spins, as well as a double win multiplier. Reel Deal is another game with three reels and five ways to win. This game includes a Full House win which is activated if you get a special combination of fruity symbols on the reels.